For my last DIY wedding project post, I wanted to talk about the place cards M and I used for our reception. While the cards themselves weren’t really anything fancy, it was how we used them that was special. Rather than a traditional tent card, each place card was a flat piece of cardstock with a ribbon at one end. 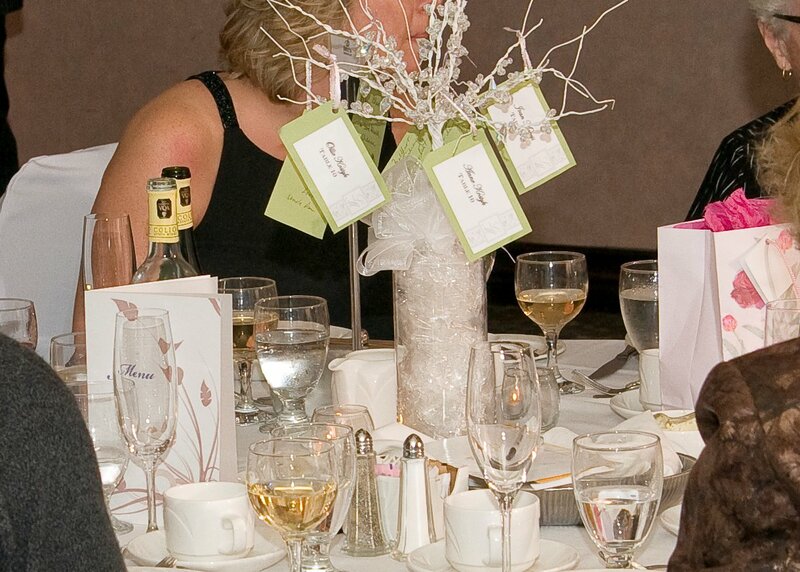 We asked each guest to write something special on the back and hang it on the ‘wishing tree’ at the centre of each table. M and I still have all the cards and I think going through them tomorrow would be a great activities to reflect on the five years since our wedding! I can’t believe it’s already five years! Love this idea!!! Makes it so easy to have a note from most everyone, instead of just a signature!